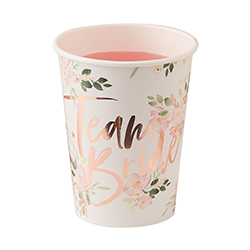 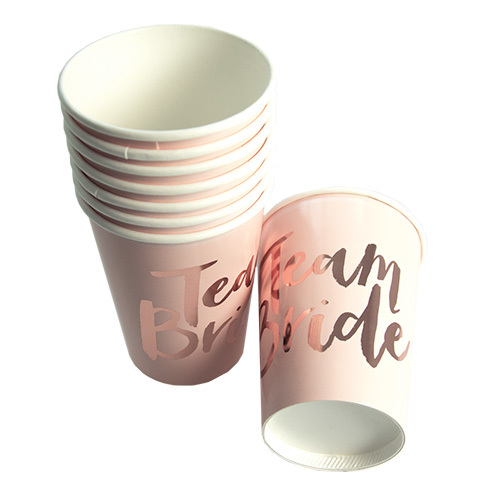 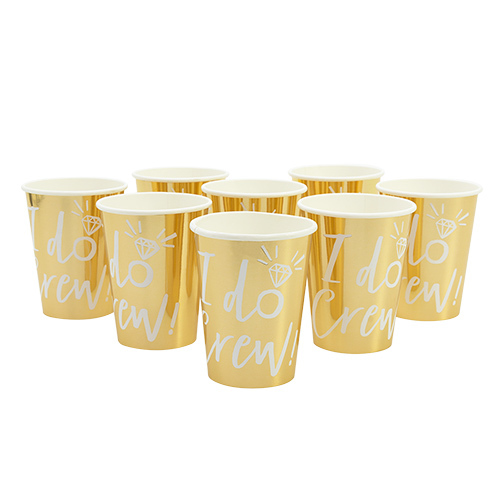 If you've gone to the trouble of getting some great drinks for the hen party then you're going to want something befittingly special to serve them in, these floral Team Bride paper cups are certainly that. The floral design and rose gold Team Bride writing turn a paper cup into a very classy hen party accessory, which adds to the event. 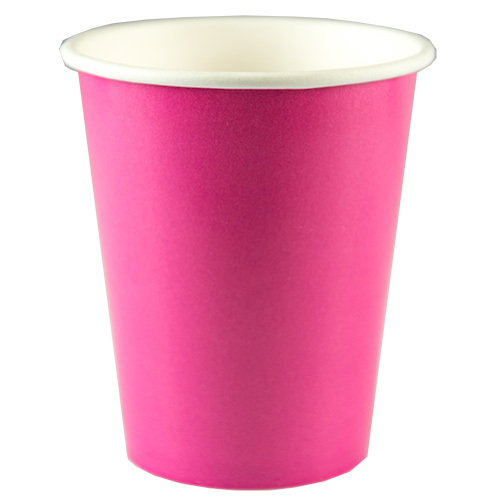 This is a pack of eight paper cups, each one is 10cm high and holds 9 fluid ounces. 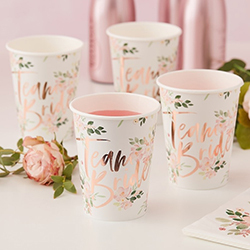 This item forms part of our fantastic Floral Team Bride range which also includes paper plates and napkins so you can really kit out the whole table.